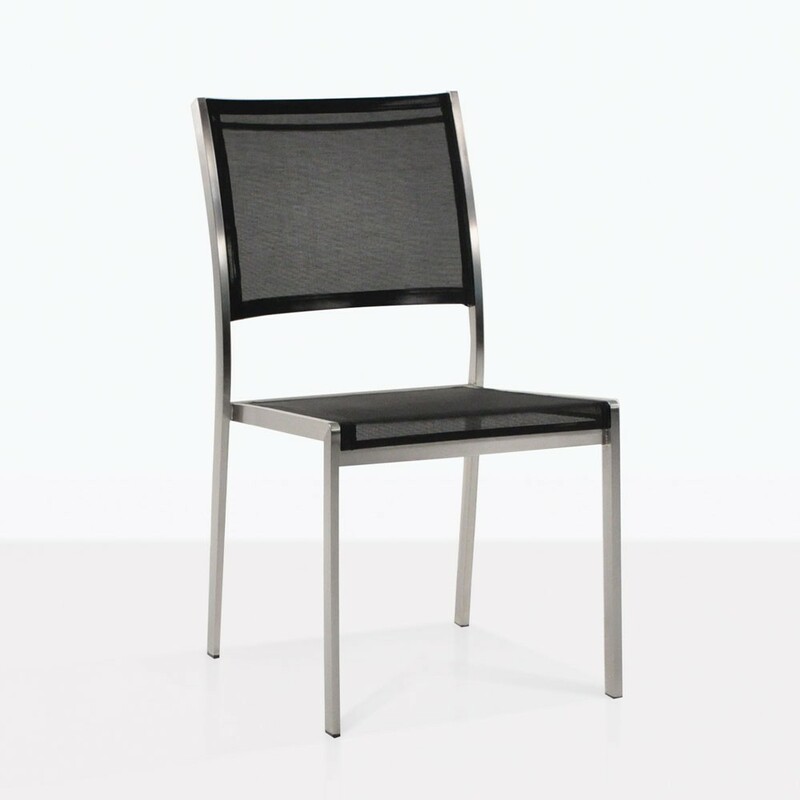 This comfortable, black dining chair is a must-have if you require a minimal look in your home, restaurant or yacht. 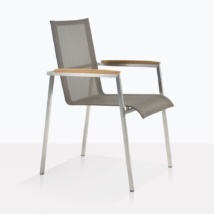 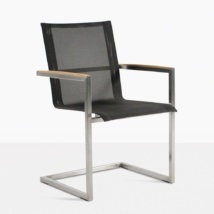 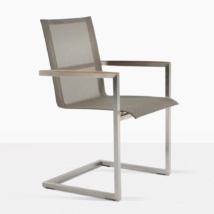 It is made with Batyline mesh and 316 marine grade Stainless Steel framing and legs. 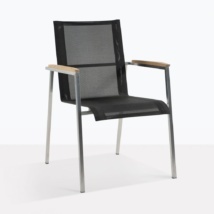 It can be stacked away for storage or transportation. 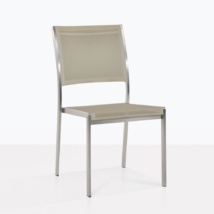 Also available in Gray mesh.